The Soldiers Memorial Hall was erected to commemorate those who died or were killed in World War One. 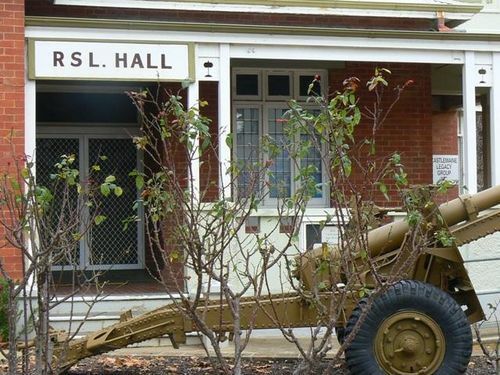 The hall was opened on ANZAC Day 1921. The foundation stone of the soldiers' memorial building which is being erected in Castlemaine, was placed in position by Brigadier-General Brand, State Commandant, on Saturday afternoon in the presence of a large and representative assemblage. Age (Melbourne), 17 February 1920.